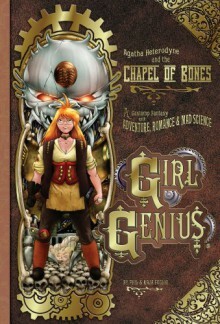 Adventure Romance, Mad Science ! Agatha Hetrodyne is the last heir to the Maddest of Mad Scientist families, and now she's returned home to claim the family castle. Unfortunately , it turns out that she's not the only one with that idea, and the Castle is a hopeless death trap.